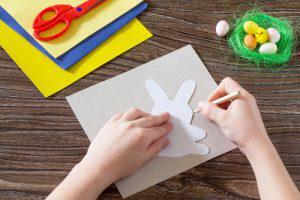 Hop into the Easter spirit with these fun, easy, and budget-friendly Easter crafts you and your little chickadees are able to put together. Jump into these adorable DIY projects for your little bunnies and start crafting away! 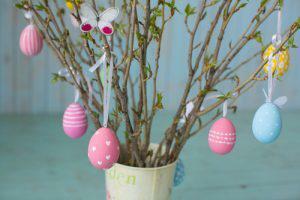 Sweet Floweret has easy and inexpensive materials to make a fun Easter egg tree! Get your supplies from the dollar store to put this fun craft together, but make sure the young ones are careful when using the hot glue gun when putting together this festive craft. 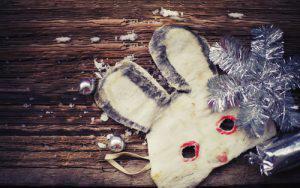 Your kids will love putting together these fun bunny masks from Daily Leisure. With just a craft stick, pipe cleaners, and a few other supplies, this is the perfect craft for toddlers to get them in the Easter spirit! Moms, we know you love your wine! 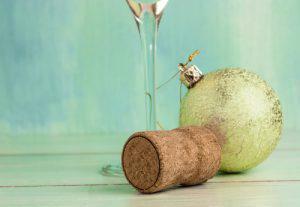 Pop that bottle of wine, and use the wine corks to make some fun wine cork chicks! This is a fun idea for holiday cards and Easter decorations that your kids and guests will love! 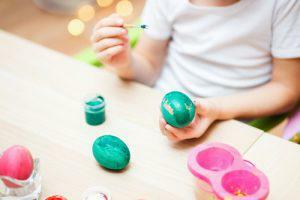 Ready to get in the Easter spirit with your child? Cutesy Crafts’ Eraser-Stamped Bunny Shirt is the perfect project for your family to design! This unique craft will have people stopping you wondering where you got your adorable shirts from! Holiday-themed Easter keepsakes with a photo of your child are a great way to show some Easter spirit in the house. Thriving Home has the perfect options for you, and your kids will love having their footprints be a part of this charming craft. Have older kids that still like to get in the Easter spirit? Artzy Creations has the perfect fun and festive jewelry craft! 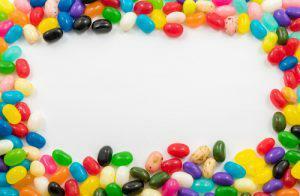 Your kids will be able to get creative and festive with this fun project!